Thank you for joining with us to help print and distribute 600,000 copies of How to Be a Child of God to federal, state, and local prisoners in America. This book has proven to be the most effective evangelism tool used in prisons today. One in ten inmates who reads or receives How to Be a Child of God prays to receive and follow Christ. If one in three of the U.S. prison population accepted a copy of How to Be a Child of God and one in 10 of them accepted Christ as a result, not returning to prison, the incarceration cost savings would be around $2 billion. HOW CAN YOU BE PART OF THIS POWERFUL EFFORT? 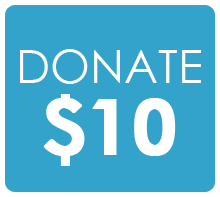 Step 1: Select the amount you are led to give from the buttons below, or choose your own amount by clicking the corresponding link just below the blue donations buttons that follow. Step 2: Complete your transaction using a credit card, debit card or Paypal account. There is no greater cause than saving souls for Christ. The thousands of men and women who are incarcerated have been largely forgotten by others, but each one is important to Christ. Each life has value. Each soul has worth. We are looking to raise $325,000 this year to print and distribute How to Be a Child of God and companion books to more than 600,000 incarcerated men and women who are willing to accept hem. 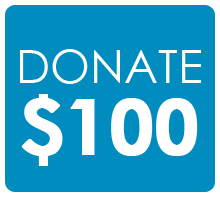 Please consider a donation to help us reach them with the life-changing message of the Gospel. Donations of any size are welcomed, and every dollar goes toward saving souls. Click the button above to help our mission now.